From last couples of month Luna Sleeping Oil, from the Sunday Riley is receiving lot of buzz in beauty space. So I decided to check out such accolades is worthwhile to call it for. If we judge book by its cover, then Sunday Riley Luna Sleeping Night Oil masters that first impression. The packing is unique and gorgeously packed. In an attractive glass bottle along with a dropper dispenser this oil based solution is advised for normal to dry skin. The mixture is made up of organic, cold-pressed oils of Extra Virgin Avocado Oil, Grape Seed Oil, Blackberry Seed Oil and Chia Oil. Blackberry seed and Chia oil are the powerhouse of Vitamins and antioxidants. Avaccado oil hydrates the skin and grape seed oil helps to seep the oil. The standout point is that the oil is blue in colour. When I spread this blue oil on my hands it turned into a cool and aqua experience. The oil seeps into the skin well, without feeling greasy, and it leaves you with a glowing complexion by morning. I read in an article that Sunday Riley’s product uses coloring dyes which I really don’t appreciate. The other interesting fact about this oil is it has Trans-retinol ester which helps to manage fine lines and wrinkles. It’s an oil for night, applying this in day can make it susceptible to burning. The scent is something like an aromatherapeutic solution with a blend of rose and blue tansy. It has the dual impact both of flower and herbal smell. If you are sensitive to smelling products then surely it is not for you. 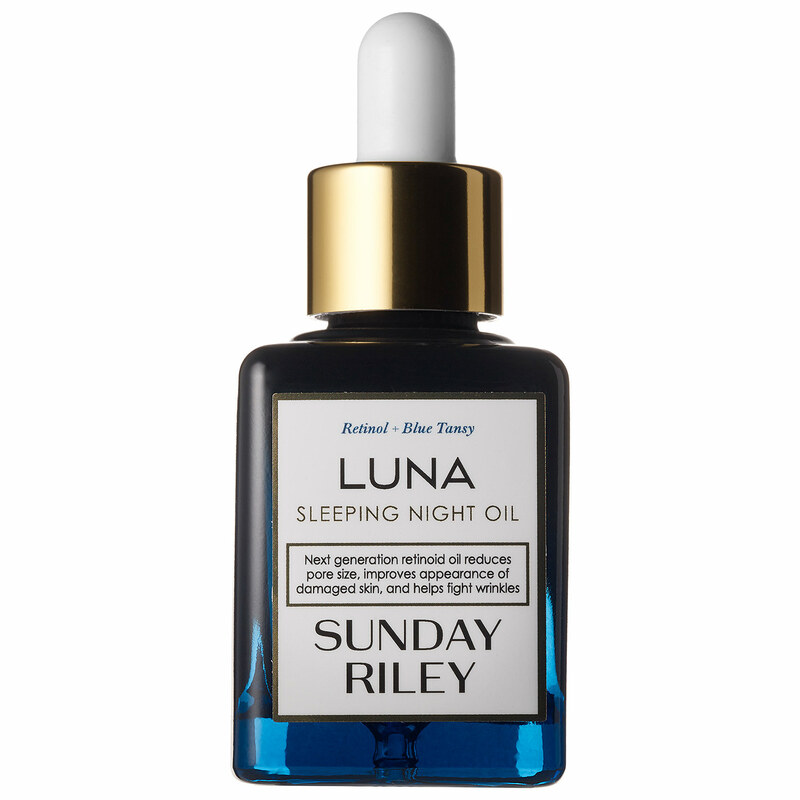 To be honest I have observed little pigmentation on my skin, and it has been 2 weeks since I have started applying Sunday Riley Luna Sleeping Night Oil but on the contrary I have noticed some dryness on my skin. For a product that claims to be gentle on skin Luna Sleeping Oil for me doesn’t work well. So, I am little disappointed with it.